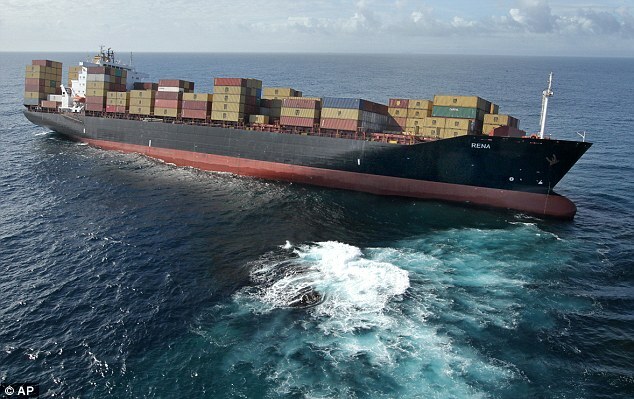 Even before the 47,230 ton container-ship Rena ploughed into Astrolabe Reef, all shipping had been formally warned to stay clear of the promptly marked feature. But as long as ships have sailed the seas, they have been hitting well recognized hazards - often for the most puzzling reasons. 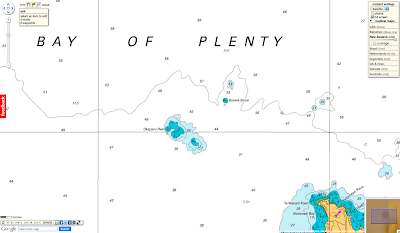 The latest edition of the New Zealand Nautical Almanac, published by Maritime New Zealand, contains a chapter on shipping routes around the New Zealand coast, noting "mandatory areas to be avoided by all ships over 45 metres in length/500 gross tons". Rena should have had the Almanac on its bridge - either electronically or in hard copy - and for Tauranga there is an explicit note for vessels coming to the port from the east, as Rena was. 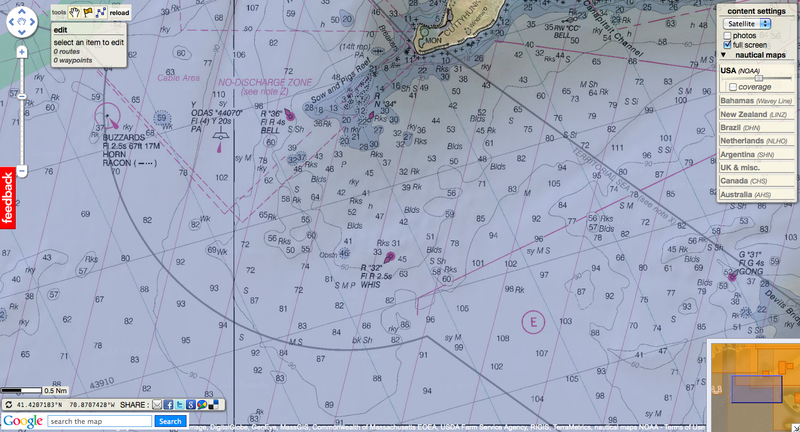 "Keep at least 5 nautical miles to the north of Volkner Rocks, thence 3 nautical miles to the north of Astrolabe Reef and thence to the Pilot Station," the Almanac orders. 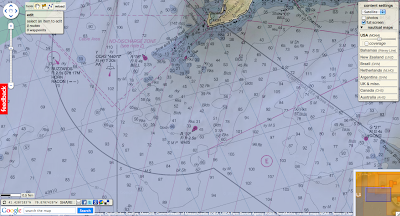 Online vessel trackers show Rena, prior to hitting the reef, was traveling about 17 knots (32kmh) - an average speed for a ship that size. Ominously the same trackers show the grounded Rena is still moving at just under a knot - suggesting she is grinding herself into Astrolabe. How the ship could hit a reef only 80 meters wide and noted on charts since 1827 is unknown at the moment, but there is no shortage of speculation over what might have happened at 2.20 am on Wednesday. Under International Maritime Organization (IMO) rules a bridge watch would have been in place, but the actual driving of the ship would have been under electronic control. Rena, coming out of Napier, was less than hour out from picking up a Port of Tauranga pilot and would have been preparing to change course to the south and slow down. Rena may have had greater manual control that in normal seagoing. The IMO has commission numerous studies over the last decade on "fatigue in the shipping industry" with one asking whether collisions and groundings can be linked to fatigue and the shift system used on ship watches. While studies have concluded fatigue plays a role, dealing with it has proven elusive so far. The ship was badly damaged but was saved by Danish salvage firm Svitzer - who yesterday were put in charge of saving Rena. Shen Neng's owner and skipper were fined, but preliminary investigations indicated fatigue was the major contributor to the grounding. Svitzer, part of the giant Maersk shipping group also saved the grounded coal ship Pasha Bulker, which ended up on a beach in front of Newcastle, New South Wales in 2007. Its Japanese owners paid for the damage after the ship was saved, but the New South Wales government ended up not prosecuting because they could not find the grounding was a result of negligence. A storm warning had been posted at the time and many of the vessels waiting to load had put out to sea. Pasha Bulker's captain had been off the bridge having breakfast at the time of the warning, and the bridge watch failed to warn him of it. Groundings are often associated with equipment failure - either in engines or in navigation equipment on the bridge - but the best known case in New Zealand maritime history remains an intriguing mystery. It involved the Soviet Union cruise ship Mikhail Lermontov on the night of February 16, 1986, sailing up Queen Charlotte Sound, out of Picton. Local Captain Don Jamieson was piloting the large ship out but at Cape Jackson, for inextricable reasons, he decided to take a short cut between a light and the coast. He appeared to believe the passage was much wider than it was. Traveling at 15 knots the ship hit rocks and was holed. It struggled around to Port Gore where Jamieson tried to beach her, but instead it sank. As one of the world's more accessible wrecks it has attracted divers - and three are known to have died in it. At the time the Anzus Alliance was collapsing and Lermontov's sinking prompted one of Prime Minister David Lange's quips, saying New Zealand was "the only nation to sink a Russian ship since the Second World War". In an intriguing aside, Moscow sent a delegation to New Zealand soon after the sinking and among its members was a young KGB agent, now Russia's leader, Vladimir Putin - although he has steadfastly refused to acknowledge he has seen more of New Zealand than he should have. Even the Royal Navy has had the embarrassment of hitting well-known rocks. In 2002 destroyer HMS Nottingham hit Wolf Rock off Lord Howe Island in the Tasman Sea and came close to sinking. The rock had been on charts since 1837. Its captain said the accident was the result of "a combination of unfortunate circumstances and human error". In naval circles the incident was put down to a blunt pencil. The ship had been waiting to land its helicopter and was maneuvering in the vicinity of the rock as the navigator continued to plot tracks on a paper chart. At some point he drew a course across the map with the pencil and because it was blunt, the mark obscured the rock reference. Murphy's Law kicked in. In 1998 the Royal Caribbean cruise ship Monarch of the Seas grounded on a coral reef off St. Maarten. Investigations found the crew had failed to update ships charts to show a buoy marking the reef. But it was also found that the captain at the time was suffering "a vicious bout of diarrhea" and had left the bridge at the crucial time. Even Cunard's Queen Elizabeth 2 has hit charted rocks, when she ran around in 1992 off the coast of Martha's Vineyard in the US. 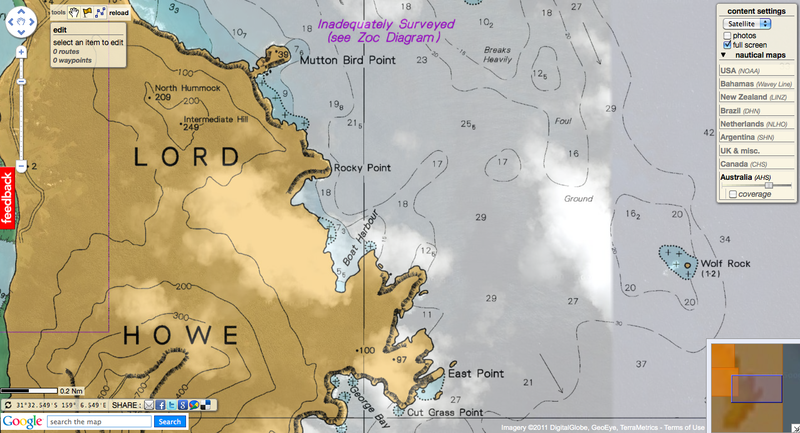 The shoal, discovered in 1939, was described as being 39 feet deep - which should have been fine for QE2 drawing 32 feet. 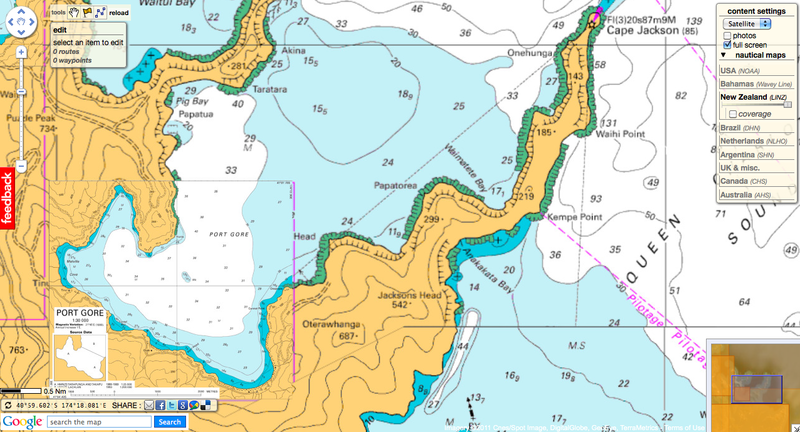 After the incident, in what was described as a failure in "hydrographic standards", it was found the shoal was 30 feet deep. Investigations also opened insights into the "squat effect" which occurs when a vessel moves quickly through shallow water. It makes the ship squat lower in the water than otherwise expected. 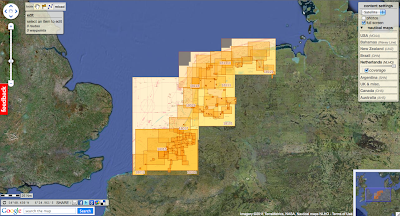 79 charts (227 including sub-charts -see list-) have been updated with 2011 material from the Netherlands Hydrographic Office. A large container ship stuck on a reef off the coast of New Zealand is leaking oil. Maritime New Zealand said the intermittent leak appeared to be coming from damaged pipes rather than from fuel tanks. Four seabirds have so far been found dead in the oil slick, which extends about 5km (3 miles) from the ship. The Liberia-flagged Rena struck the Astrolabe Reef about 12 nautical miles from Tauranga Harbour on Wednesday. The agency says the 25 crew on board are safe and trying to stop more oil from leaking. Transport Minister Steven Joyce said the situation was worse than first thought. He said there was a "significant amount of oil" and warned the vessel could break up due to its "precarious" position on the reef. Maritime NZ has officially declared the 47,000 tonne container vessel "a hazardous ship" - that gives the agency the power to take control of the salvage operation if it was deemed necessary. The authority's on-site controller Rob Service said a monitoring flight over the stricken vessel on Thursday afternoon revealed the oil slick had doubled in size from earlier in the day. 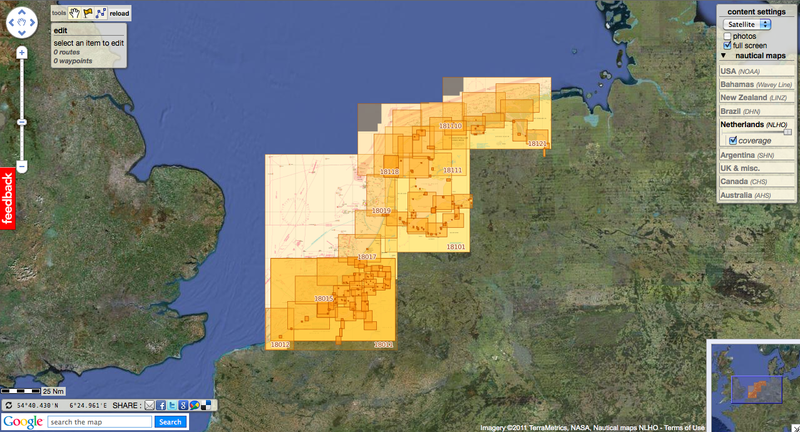 "We are not aware of any actual breaches in the fuel tanks. However, because of the extensive damage to the vessel, it is difficult to determine accurately what is the scale and scope of the damage," he said. Mr Service said it was not clear how much of the 1,700 tonnes of heavy fuel oil on board had leaked. Testing using dispersants to break up the slick had proved ineffective. New Zealand's Department of Conservation said the Astrolabe Reef was covered with colourful sponges and anemones, with seals and gamefish such as marlin common in surrounding waters. Two wildlife rescue centres have been set up. For the first time, astronomers have found water on a comet that's a chemical match for water on Earth, a new study says. The discovery backs up theories that water-rich comets helped fill ancient Earth's oceans. In a semiheavy water molecule, one hydrogen atom (H) is replaced with a heftier version called deuterium (D). All water in nature has a D/H ratio, and since deuterium is a very stable atom, this ratio can go unchanged for eons. Measurements from the Herschel Space Observatory show that comet Hartley 2, which comes from the distant Kuiper Belt, contains water with the same chemical signature as water in Earth's oceans. In the new study, Hartogh and his team used the European Space Agency's Herschel Space Observatory to examine the D/H ratio of the comet 103P/Hartley 2. The results show that Hartley 2's water is very similar to that of Earth. "We cannot give a number," Hartogh said. "In principle, all of Earth's water may come from comets. However, it is still possible that a large—or the largest—fraction came from asteroids." Minoru Saito has returned home to a hero's welcome after an epic 1,080-day journey sailing single-handed the 'wrong way' around the world. An earthquake, two tsunamis, giant icebergs, towering waves and five typhoons: these may sound like typical challenges for anyone sailing around the world on their own. But Japanese sailor Minoru Saito also had to contend with back pain, a hernia, a knee operation and organising delivery of his heart tablets – perhaps unsurprisingly, bearing in mind that he is 77-years-old. Mr Saito broke a series of records – and defied all pensioner stereotypes - as he sailed into Yokohama port to a hero's welcome after an epic 1,080-day journey sailing single-handed around the world. Not only did he his arrival confirm his status as the oldest person to sail around the world, he is also the oldest to do so the "wrong way" - from west to east – as well as the only person to have circumnavigated the globe alone eight times. It was in morning sunshine shortly after 10am that Mr Saito’s boat finally appeared in Yokohama Bay, with the sail rolled down due to blustery winds and supported by a welcome flotilla of three other small vessels. Cheering crowds of friends and sailing enthusiasts greeted the boat, which was clearly well-travelled: rust stains marked the once-pristine white paint, a tangle of weathered ropes were piled in the back while its name was almost entirely washed off the sides. Suntanned Mr Saito, however, appeared in better shape than his boat, smiling broadly as he leapt around with an array of ropes with the agility of a sailor half his age. He added: "I missed a lot of things, mostly cherry blossoms and Japanese food. But I feel very young in both mind and body and I feel I'm in great shape." The word "retirement" not featuring in his vocabulary, he added with a laugh: "I'm already thinking about my next trip. I'd like to head to Greenland and Alaska next. I just need to raise the money and then I'll go off again." It was in October 2008 that Mr Saito set off from Yokohama on a trip that he initially hoped would last only 287 days on board his prized 56-foot sailing boat, Nicole BMW Shuten-dohji III. He had already accomplished a record-breaking seven solo journeys around the world but it was his first time travelling west to east – a famously challenging route as it goes directly against prevailing winds and currents, requiring significant skill and effort as well as raising the danger of colliding with floating icebergs and debris. In the event, however, Mr Saito's eighth trip took him nearly four times longer than anticipated, due to a litany of delays caused by repairs, inclement weather conditions and natural disasters. His 28,500 mile journey ran smoothly until Cape Horn, where a three-day gale heaped up 30-foot waves and 50 knot winds – leading to extensive damage that required him to be rescued by the Chilean Coast Guard. Instead he was forced to spend the winter months in a small harbour in Punta Renas, the world's southernmost city, as he repaired damage to his boat - the darkest moment of the trip, he said. "I had these big steel fishing boats hitting me on both sides and if my boat had not been made of steel, it would have been crushed and sunk. "I was really worried I might die from stress and the cold but I could not leave the boat unprotected." It was also while in Chile that his health appeared to catch up with him as he was forced to undergo an emergency hernia operation, which delayed his trip even further. After one more failed attempt, he finally rounded Cape Horn, and was narrowly spared disaster when more problems that developed on his boat required him to stop again for repairs. His course would otherwise have taken him precisely to the epicentre of the 2010 Chilean earthquake just as it struck. "He was incredibly lucky," said Mike Seymour, the on-shore safety officer for his trip. "Just before the earthquake struck we'd pulled him into a small island off the Chilean coast as there were some boat problems." Although damaged by the subsequent tsunami, once again his boat survived and following further repairs, Mr Saito was back on his way. The next drama came in Hawaii, where he had stopped to undergo boatwork repairs – and was knocked down in the street by a car, resulting in a knee operation in hospital. He was still there on March 11 this year when his boat survived yet another tsunami, triggered by the giant Tohoku earthquake in his homeland Japan, resulting in yet further delays. To cap his chronicle of setbacks, he then had patiently to wait for a total of five typhoons to pass through the region before being able to embark on the final leg of his journey into Japan. Arriving back – weighing a little less, with a still-healing knee, but otherwise professing robust health – Mr Saito said: "My body was feeling tired and my mind was nervous but I stopped for a few days on a small island before the final journey to Yokohama and soaked in some hot springs. Now I feel very good." Upon arrival, he was greeted with a message from the British sailor Sir Robin Knox-Johnston, the first person single-handedly to circumnavigate the world without a single stop, who wrote: "Please give my congratulations to Saito-san on yet another determined circumnavigation. His success will bring great pleasure to his many friends." Mr Saito's latest achievements cap a sailing career which started in 1973 at the age of 39 when he decided to switch from his previous hobby, mountaineering. Mr Saito, who overcame TB as a child growing up in wartime Tokyo, went on to compete several times in the famously gruelling former BOC Challenge, which involves solo circumnavigation of the world. Today, he resides only on his boat, never having married but always travelling with a photograph of his late fiancée who tragically died in a sailing accident. He also carries with him the tail of a rattlesnake which he says brings him good luck. And despite his most recent odyssey lasting more than 1,000 days, it's clear that he still has energy for more adventures – and hopes that such escapades might inspire younger generations. "They need to challenge themselves to really try hard. You only have one life to lead so must always do your very best." 1934: Born in Asakusa, Tokyo. 1973: Took up sailing for the first time and began participating in Japanese races. 1988: Survived his first typhoon and two cyclones sailing from Japan to Sydney. 1990-1991: Sailed around the world in 197 days, as part of the former BOC Challenge. Also sailed around the world while heading to and returning from the race. 1994-5: Sailed around the world for a third time, again as part of the BOC Challenge. Upon completion, he sailed solo around the world once more before returning to Japan. 1998-9: His third global race, at the age of 65: he completed in 203 days. 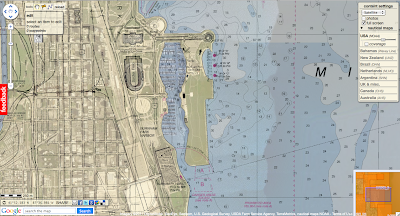 Also sailed around the world – going there and back again - to attend the race. 2001: Returning to Japan, he again sailed solo around the world – his sixth global circumnavigation. 2004: First solo nonstop circumnavigation at the age 71, breaking records for both the oldest and also the most number of circumnavigations. 2008-2011: His most recent mission, his eighth trip sailing around the world. Each spring in the Southern Hemisphere marks the beginning of a precipitous annual decline in ozone levels over Antarctica. The process starts in the dark of Antarctic winter as sub-freezing temperatures give rise to large numbers of wispy, iridescent clouds located high over the continent, 80,000 feet up in a layer of air called the stratosphere. The clouds are key to the depletion of ozone because a cascade of ozone-depleting reactions, fueled by human-generated chlorofluorocarbons, halons and methyl bromide compounds, occur within them. When the sun shines over Antarctica in the spring, its rays release chlorine and bromine atoms from these chemicals in forms that attack ozone. The atoms eat away as much as 70 percent of the ozone layer, creating an "ozone hole" to form over the region. So far, the hole appears slightly larger than it was this time last year, but it won't reach its maximum size until mid-October. In the visualization below watch the ozone hole grow from July 1 to September 16, 2011. Early data on the scale of Arctic ozone destruction were released in April, but the Nature paper is the first that has fully analysed the data. "Winter in the Arctic stratosphere is highly variable - some are warm, some are cold," said Michelle Santee from Nasa's Jet Propulsion Laboratory (JPL). "But over the last few decades, the winters that are cold have been getting colder. "So given that trend and the high variability, we'd anticipate that we'll have other cold ones, and if that happens while chlorine levels are high, we'd anticipate that we'd have severe ozone loss." In addition, the polar vortex was stronger than usual. Here, winds circulate around the edge of the Arctic region, somewhat isolating it from the main world weather systems. "Why [all this] occurred will take years of detailed study," said Dr Santee. "It was continuously cold from December through April, and that has never happened before in the Arctic in the instrumental record." Left: Ozone in Earth's stratosphere at an altitude of approximately 12 miles (20 kilometers) in mid-March 2011, near the peak of the 2011 Arctic ozone loss. Right: chlorine monoxide – the primary agent of chemical ozone destruction in the cold polar lower stratosphere – for the same day and altitude. This year has seen ozone-depleting conditions extending a little later into the southern hemisphere spring than usual - again, as a result of unusual weather conditions. Chlorine compounds persist for decades in the upper atmosphere, meaning that it will probably be mid-century before the ozone layer is restored to its pre-industrial health. This year has seen major shark conservation actions taken around the world, but more action is needed by many more countries. The Marshall Islands government has created the world's largest shark sanctuary, covering nearly two million sq km (750,000 sq miles) of ocean. The Pacific republic will ban trade in shark products and commercial shark fishing throughout its waters. Tourism, including diving, is a staple of the Marshall Islands archipelago, which is home to just 68,000 people. Sharks and their near relatives such as rays are seriously threatened by issues such as habitat loss and fishing. About a third of ocean-going sharks are on the internationally-recognised Red List of Threatened Species. "In passing this [shark protection] bill, there is no greater statement we can make about the importance of sharks to our culture, environment and economy," said Senator Tony deBrum, who co-sponsored the bill through the Marshallese parliament. "Ours may be a small island nation, but our waters are now the biggest place sharks are protected." To put the sanctuary in context, it covers roughly the same area as Indonesia, Mexico or Saudi Arabia, and is about eight times bigger than the UK. The move will extend the area of ocean in which sharks are protected from about 2.7 million sq km to 4.6 million sq km (1.0 to 1.8 million sq miles). Under the bill, commercial shark fishing and any trade in shark products will be banned, and any of the fish accidentally caught must be released alive. Certain designs of fishing gear will be banned from Marshallese waters; and violators of all these measures face fines of up to £200,000. The Marshallese government has worked on the plan with advisors from the Pew Environment Group, the US-based organisation that identified archipelago nations as providing big marine conservation "wins" because of the vast scale of their territorial waters. "We salute the Republic of the Marshall Islands for enacting the strongest legislation to protect sharks that we have seen," said Matt Rand, Pew's director of global shark conservation. "As leaders recognise the importance of healthy shark populations to our oceans, the momentum for protecting these animals continues to spread across the globe." The Marshall Islands follows the lead taken by Palau two years ago, whose sanctuary was then the world's biggest. Other nations including the Bahamas have since followed suit. Last week, a group of eight countries including Mexico, Honduras, the Maldives and Northern Mariana Islands signed a declaration announcing they would push for more shark protection across the world. Because they grow and reproduce relatively slowly, sharks are especially vulnerable to factors such as accidental or targeted fishing. Shark protection measures are also likely to help marine biodiversity overall, as they restrict the rights of fishing vessels and require greater scrutiny of landings. However, with the Marshall Islands as with Palau and some other countries, there are questions over the capacity of authorities to monitor fully such huge expanses of ocean.